New Art Installation in the Children’s Room! Please stop by the children’s room at the West Tisbury Library to see the latest art installation, which is really a walk down memory lane. 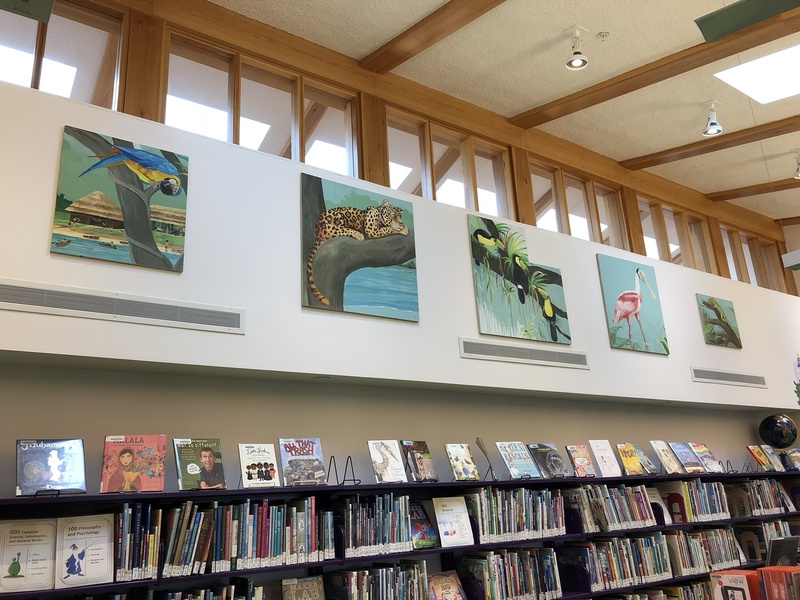 Before the old Library was renovated in 2012, Tucker Hubbell had the brilliant idea to carefully remove a few of the beautiful creatures painted by Linda Carnegie in the early 2000’s to enhance the children’s basement room. They were cut out of the sheet rock and stored all these many years. Until now. We are pleased that Tucker was able to finish and then install these lovely creatures in the children’s room-a beautiful way to come full circle- A project that was inspired by Mary Jo Joiner and Diana Manter using the talents of Linda Carnegie, is now seeing the light of day once again. Come by and visit! And thank Tucker for his vision and ongoing dedication to the Library.